Teeing off for a year of fundraising to support the new South Lakes Birth Centre is community midwife and Barrow Golf Club’s new Lady Captain, Kathryn Hampson. “When it came to nominating my chosen charity for the year, there was only one – the new birth centre at Furness General Hospital. Kathryn is now planning her programme of fundraising events, the main one of which will be an open charity golf tournament for teams of four at Barrow Golf Club on Friday 20 July. The Bayb’s Maternity Appeal has funded almost £250,000 worth of clinical equipment and furnishings at the South Lakes Birth Centre to make it one of the best maternity unit’s in the country to give birth. Bay Hospitals Charity is a registered charity, raising money to improve patient care and hospital experience at University Hospitals of Morecambe Bay NHS Foundation Trust hospitals. Every day incredible things happen across our hospitals, but this is not without cost. 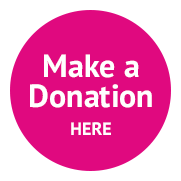 By donating to Bay Hospitals Charity you can fund the latest equipment and help make your local hospitals more comfortable, ensuring you get the best possible care and treatment. To chat to us about our events and fundraising for Bay Hospitals Charity, please email charity@mbht.nhs.uk or call either Judith in our Lancaster Charity Office on 01524 516064 or Heidi in our Barrow Charity Office on 01229 404473. We’d love to hear from you! You can donate securely online. Find out more about our other fundraising events. Keep up to date on all the latest news by liking Bay Hospitals Charity on Facebook or following us on Twitter. You can sign up to our email newsletter by filling out the short sign up form at the bottom of this page.